On the weekend, Amanda came out of the backyard claiming that we were growing tomatoes. I didn’t believe her – at first. 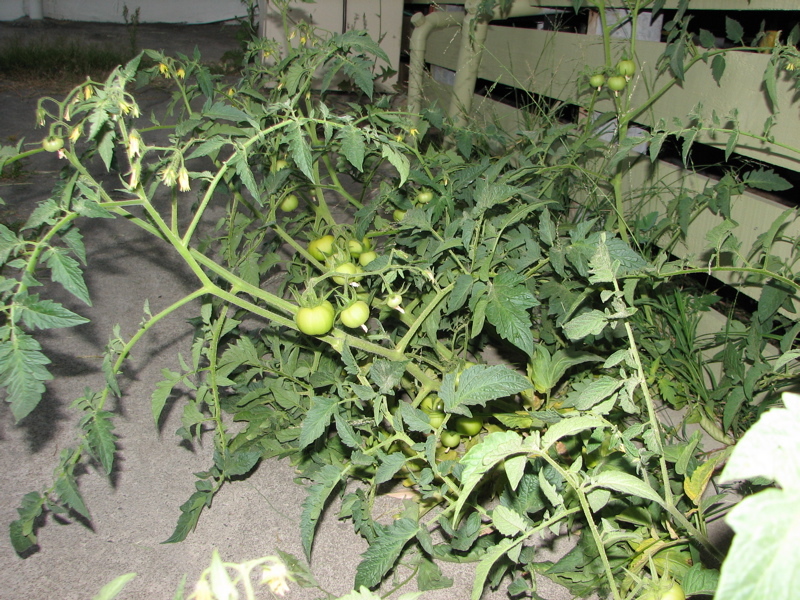 We had a big tomato plant growing out from underneath the house. As long as the dogs don’t get to them, we should have a bumper crop! Not bad for not even trying! I’ve spent some time tonight updating the look of the site, and am now quite happy with the clean appearance. It’s nothing terribly original, but it’s looking sharp, and there’s fewer images. I’ll continue making some tweaks, but nothing earth shattering for now. Edit: the ads are gone now, but you can visit http://www.sqlbenchmarkpro.com.